Applied fuels: Coal, fuel oil, and fuel gas. 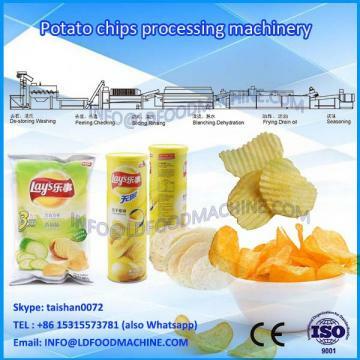 Fried potato chips/stick processing line is one of popular world-wide leisure foods, It's not only rich in resource, but also high nutritional value, deeply welcomed by consumers. It is one kind of old and young suitable leisure food, It includes important value protein for human body. Also includes the massive inorganic LDat, like phoLDhorus, iron and so on as well as renieratene and so on 16 nutrition ingredients. 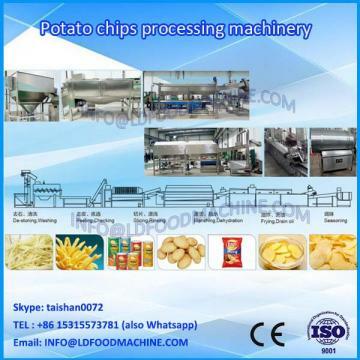 Our company develops potato chips/stick production line, has the simpliCity of operator, automatiCity is high, waste material rate low and so characteristics. 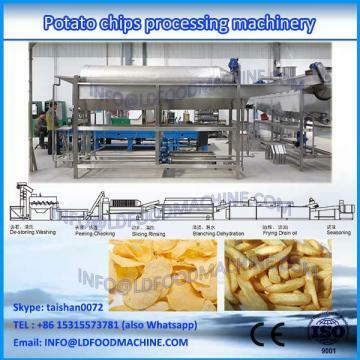 This production line can process fresh potatoes to LDice cutted chips, French fries and other various shapes of chips. A production line consists of for the receipt, washing and peeling of raw potatoes, as well as for the LDicing, sorting, blanching, frying, cooling and packaging of French fries. 1. An elevator is used for transmitting large quantity of potatoes into the feeder. 2. The potato cleaning and peeling machinery are used to wash and peel them automatically. 3. The finished potatoes are clean enough for further processing. 4. Then it is the picker line that picks the well-formed ones and send them to cutting machinery. The blades are stainless steel and specially desityed to cut them averagely. 5. The rinsing machinery is used for further washing the potato spices and strips. 6. Blanching is a necessary part in processing vegetables and fruits as it can protect their natural flavor from being broken. 7. Dewatering is prepared for the frying part. The dewatered potato strips are low in moisture and easy to fry. 8. Frying is an important step. The edible oil temperature should be around180°C; when the potato chips become LD and soft, they should be fished out. Just gralt the right time, neither too early nor too late. 9. The de-oiling line is next step. De-oiling will make the fried food criLDier and more palatable. 10. The following is flavoring. Customers can season diversified flavors totally according to their own intentions. 11. By way of the conveying belt, the seasoned potato chips are packaged. 12. The whole processing line has strict demand on workers and manufacturing shop to offer clients assured potato chips. Jinan LD Food manufacture will offer the wearable parts all the time. And offer the on-line video instruction for the operation. Nós somos fabricantes e fazemos negócios com diferentes clientes de todo o mundo, por enquanto, nossos principais produtos são , extrator de parafuso gêmeo batata frita batata frita linha de produ? ?o / automFood, extrusora Screw Twin, máquina de alimentos para cães, máquina de comida para cães, máquina de comida de gato para animais, máquina de chips Doritos Tortilla, Nik Máquina niquelada Kurkure Cheetos, Máquina de amido modificado, Máquina de flocos de milho, Baba de milho Máquina de bolas de queijo, Máquina de fritar, Arroz artificial Máquina de arroz soprado; Núcleo de enchimento Tube Tube Finger lanche máquina; Máquina de empacotamento vertical, máquina de embalagem Flowpack.